The West Pier in Brighton, UK. Early morning sunrise shot. Pier burnt down in 2003 and was built in the 19th century. It is now a famous location at the Brighton Beach. 4k00:11 Russia-St. Petersburg-October 25 2018- A cruise liner departs from the seaport in St. Petersburg to the Scandinavian countries. Cloudy weather, wind, tide. Port Marine Facade. 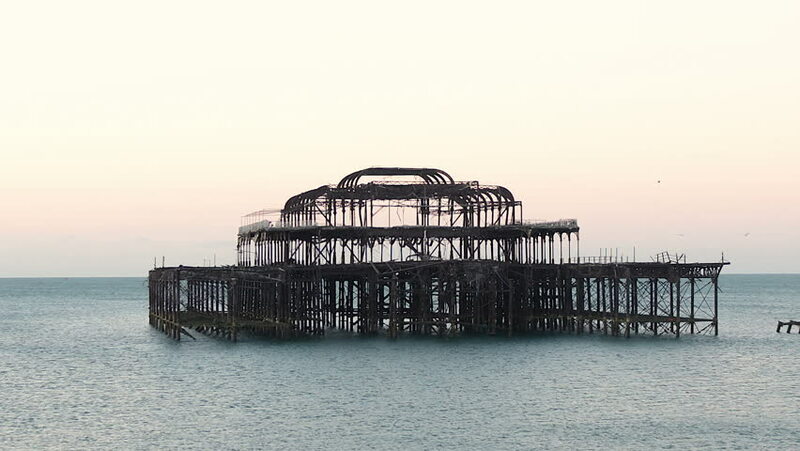 hd00:14Video footage looking out from Brighton on the south coast of England towards the burnt-out remains of the West Pier. Shot at dusk with a calm sea surrounding the dilapidated landmark. 4k00:23YOKOHAMA, JAPAN - OCTOBER 4, 2017: Cruise ship Celebrity Millennium of Celebrity Cruises is moored at the Osanbashi Pier in Yokohama, Japan.